Discover the story about how Zix reengineered email security, straying away from complicated and outdated solutions. 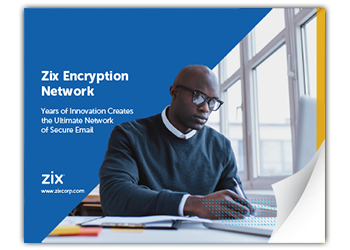 Instead, the Zix Encryption Network delivers email security automatically, with no impact on productivity and workflow. Nearly 19,000 businesses count on us for superior and effortless solutions. Check them out. © 2017 Zix Corporation. All rights reserved.